Protect Your Smile and Improve Its Appearance Simultaneously! Many people, especially older individuals, are likely to still have amalgam fillings from when they developed cavities at a younger age. Unfortunately, many of these fillings are beginning to break down and only cause more damage to teeth, rather than protect them. That’s why the dentists at Dental Innovations offer tooth-colored fillings as a sustainable and more aesthetically pleasing alternative for restoring and protecting teeth. It doesn’t matter if you’ve got newly developed cavities or simply need your amalgam fillings replaced. 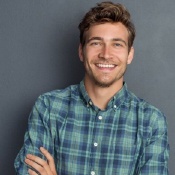 Contact our office to learn more about the benefits that tooth-colored fillings have to offer! What are Tooth Colored Fillings Made From? Unlike amalgam fillings which are a combination of certain metals, tooth-colored fillings are made with composite resin, which is a mixture of both glass and plastic. 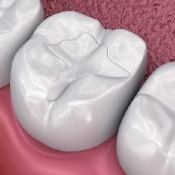 As a more putty-like material, it’s much easier to work with and place inside damaged teeth. It’s biocompatible, blends in seamlessly with your natural tooth and doesn’t sacrifice strength or protection purely for aesthetics. One of the biggest benefits worth considering when choosing dental fillings is how they protect your current tooth structure. Amalgam fillings often require the removal of enamel so they can be wedged inside the tooth and stay in place. 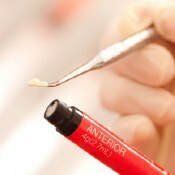 In comparison, composite resin is designed to fill the tooth, so no removal of tooth structure is needed. At the end of the day, dentists always want to preserve natural tooth structure if they have the option. Additionally, those with current amalgam fillings probably feel sensitivity in their teeth on a regular basis, especially when consuming hot or cold foods and beverages. Composite resin largely reduces this sensitivity because they use no metal materials to restore teeth. After numbing the area around your tooth and removing any damaged or decaying tissue, our dentists will place an etchant material to create a more porous tooth surface. This allows the composite resin to create a stronger bone with your tooth and remain in place for many years to come. Next, the resin is filled into the tooth and then shaped and fitted into place. Prior to filling, the resin was shaded to match your tooth exactly, so there’s no worry of it appearing in your smile like silver fillings would. Finally, the filling is hardened using a special curing light, making it durable and capable of withstanding your regular biting force. Caring for your tooth-colored fillings is hardly any different than caring for your natural teeth. 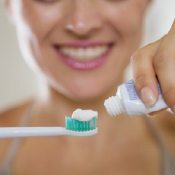 Brushing twice a day with fluoridated toothpaste and flossing daily are a must, regardless of whether you have fillings or not. Biannual visits will ensure that your fillings are in good condition and not requiring replacement. Make sure to not use your teeth as a tool for any reason as this can easily damage your fillings. If your fillings is damaged and the damage is caught early, we’re more than happy to help you repair it. Ready to receive a superior restorative treatment? Contact our office today to speak with one of our many dental professionals!